Exclusive! 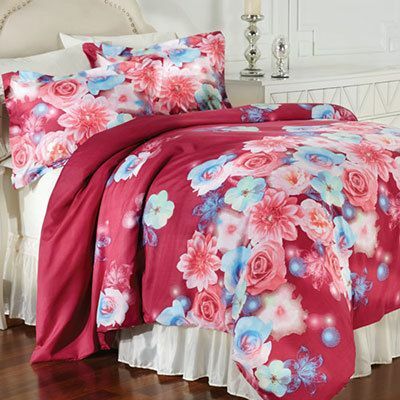 Gorgeous blooms in pinks and reds cover this sweet, cozy Bright Floral duvet set. This stylish set is made of easy-care, super-soft polyester microfiber. Limited Quantities!